I met Daniel Gundlach when I was still living in San Francisco. I was looking for a collaborator for some batik projects and found him through his business, The Language of Cloth. It seemed we had a mutual friend in Rudolf Smend, the pre-eminent collector and curator of batik textiles, and with that and a shared interest in natural dye processes we had a lot to base a friendship upon. 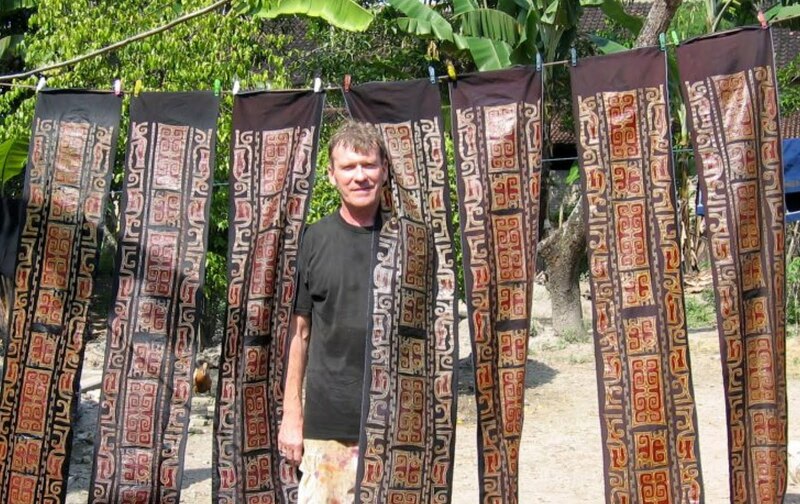 Several years later Danny and I were discussing the idea for making a film about batik, and it was then that I learned Danny had collected thousands of images of life in Indonesia through his bi-annual tours over a period of fifteen years. Artisan batik maker sitting on the floor holding areas with batik wax. The greatest challenge I had as a film-maker was trying to decide which of the many wonderful images I could use for the project. Fortunately Danny had an idea of who and what we should film, focused on natural dye -- and the rest as they say was history. Here is a brief version of the film which was produced for the San Francisco Asian Art Museum. 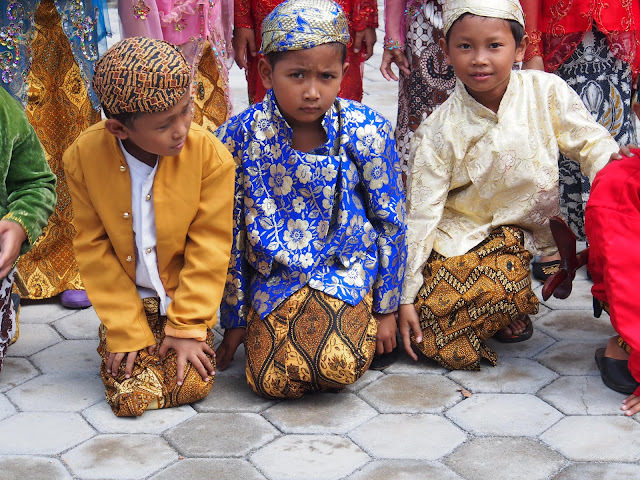 At some point I reached out to the American Indonesian Chamber of Commerce and after learning about the project they provided some very generous funds so that the film could be expanded into a 2-hour DVD detailing the batik making process at every step of the way. Our journey took us to several villages and communities of batik making in Central Java, and we were surprised to see the amount of interest in restorative methods using sustainable practices including all natural dye colorants from local plants. With thanks to the Asian Art Museum (San Francisco), the American Indonesian Cultural & Educational Foundation, the San Francisco Indonesian Film Festival, the Batik Guild of Great Britain, Annegret Haake, Brigitte Willach, Rudolf Smend, Inger McCabe Elliott, Sue & David Richardson, The Indonesian Consulate of San Francisco, Gwen Jones and Hafidz Effendi for their support and assistance in this project. "...The film Batik of Java: A Visual Journey contradicts the inevitability of industrialization – at least in batik-making, introducing us instead to village makers and city artists who remain grounded in their natural, social and cultural ecology, in a living system of community-based artisans and entrepreneurs, able to co-exist with industrialization and modernization on their own terms." - Eric Casino, Social Anthropologist, Former Head of the Division of Anthropology, National Museum of the Philippines. The film is now available as a DVD and online from Galli Publishing in a long format of 90 minutes with English Subtitles. For more information, please read this wonderful review of the experience of making this film written by Jessicha Valentina of the Jakarta Post.